The recent decoding of the human genome has lead to advances in determining genetic risk profiles for particular illnesses. The best known and scientifically credible discovery is the link between the BRCA genes and the development of breast cancer. Now there are three companies offering genetic tests to determine one’s vulnerability to bipolar disorder, schizophrenia and major depression. Tests for Anxiety Disorders cannot be far behind. The companies marketing these tests obviously believe that they are reliable and accurate. But the scientific community has been almost universally opposed to the tests. Are there reliable genetic tests for mental illnesses given the current knowledge of the human genome? Can there ever be reliable tests? And what about the ethical questions genetic tests raise? All these issues and more are discussed in this post. Genes may may influence a person’s susceptibility to Anxiety, depression, personality disorders, and substance abuse disorders. There have been many studies of large pools of families that indicate that mental illnesses run in families, and are therefore hereditary. The groups of families studied are large enough to factor out other variables such as the family environment in which a person is raised. In addition, there have been even more large-scale studies of twins, both fraternal and identical, that have found that, without a doubt, mental illness vulnerability can be inherited. If mental illnesses run in families, and are found to be hereditary among twins, then the genes passed down from parent to child must play a role in a person’s vulnerability to a mental disorder. This much almost everybody is in agreement with. Also agreed upon is whether or not one develops a mental illness depends on unknown ways the risk genes interact with other factors, such as environment and personality traits. How many genes are involved in inheriting mental illness? Mental illness: single or multiple genes? There is a great deal of controversy these days in the scientific community about the exact role that genes play in a person’s vulnerability to mental illnesses. There are some that argue that there are single genes or small groups of genes that determine it, while others hold that there are large groups of genes that work together to form this vulnerability. In addition, many believe that the genes that make for susceptibility to mental illness can vary between persons, or even between groups of persons. The inventor of one of the tests for bipolar disorder, John Kelsoe, apparently believes that a single gene or a small group of genes can cause a propensity for that mental illness (the exact number and what they are is a trade secret). A respected psychiatric geneticist at the University of California, San Diego, he spent 20 years patiently searching for the genes behind bipolar disorder, tracing patterns of inheritance in families from Amish Pennsylvania to Iceland. Most authorities … believe that psychiatric disorders develop because of the interplay between multiple genes, each exerting small effects. That makes finding the responsible genes harder. Further complicating matters, research has revealed that many healthy relatives of people with psychiatric disorders have risk genes. The majority of scientific opinion is that to date, there has not been found a gene that acting alone causes any mental illness, nor have groups of genes been found to increase the risk. When it comes to assessing the risk of developing mental conditions such as bipolar disorder, Anxiety Disorder or schizophrenia, the genes responsible for most brain disorders remain unknown. Francis Collins, director of the National Human Genome Research Institute (NHGRI) in Bethesda, Maryland, was taken aback to learn that a genetic test for bipolar disorder was on the market. In Collins’s list of accepted genes for common diseases, “there are no entries” yet for bipolar disorder, he says. The Human Genome Project presented the complete map of the human genome only in 2003, and further analysis is still being published. One writer compared what is known about human genetics to a light shower before a coming thunderstorm. According to experts writing in the May, 2008, issue of the Harvard Mental Health Letter, the genetics field is advancing so rapidly that it’s hard to keep up with developments, never mind figure out which ones are clinically relevant. Scientists have identified perhaps thousands of candidate genes that may contribute to psychiatric conditions. But most candidate genes fail to hold up — meaning that the association between the gene and a given illness disappears when scientists try to replicate the results. One analysis estimated that 70% to 80% of candidate genes are false positives. Aside from the issues of reliability for any test for mental illness, there are large ethical issues raised by genetic testing in general. These issues have kept many people who could take a test for a known genetic marker, such as that for Huntington’s disease, from taking it. Only 5 to 10 percent of those with Huntington’s in their family take the test. Confidentiality: The fear of losing health insurance is a major barrier to acceptance of genetic testing. Many people do not trust hospitals or research laboratories to keep test results confidential. Discrimination: Others are concerned that genetic findings could be used to deny college or graduate school admission to persons at risk for certain disorders, or to restrict their access to employment opportunities. Reproductive Issues: A recent controversy in the British Medical Journal erupted over the question of using genetic testing for “social engineering” by forcing couples to abort fetuses with “undesirable” psychological characteristics or restricting people’s right to have children. As more and more human traits are found to have a genetic component, questions inevitably arise regarding the possibility of government control over reproduction. But while few people would want to preserve the gene for Huntington’s disease, for example, they are likely to disagree about the desirability of other human traits, such as a vulnerability to Anxiety Disorders. The scientific consensus is that there is neither a single gene nor groups of genes yet discovered that might cause a mental disorder. The knowledge of the human genome is in its early infancy, and any discoveries being made have to undergo rigorous testing and replication before their reliability is proclaimed. Being diagnosed with a mental disorder carries “great significance,” says Francis Collins of the NHGRI, who, like many in the field, thinks a test based on current knowledge is likely to be misleading. How will the test results be interpreted? Why test for genes whose science is shaky? Why test for genes that boost the risk of mental illness only slightly? Who will buy these tests? How will consumers understand and cope with the genetic information they are given? Dr. Michael Miller, editor in chief of the Harvard Mental Health Letter, notes that someday it may be possible to reliably assess risk for psychiatric disorders. But at this point, the technology — and the science — is still evolving. In my view, though the thought of a test for bipolar disorder or Anxiety Disorders is attractive, it is very dangerous to rely on any tests developed given the current state of the art of genetics. And the many ethical questions these test raise have not been answered satisfactorily. Until the reliability of these tests has been established, and practices put in place to protect the people being tested, it is my strong recommendation that you think many times before taking them. Would you take a test for mental illness were it to be proven reliable? What do you think about the ethical questions being raised? 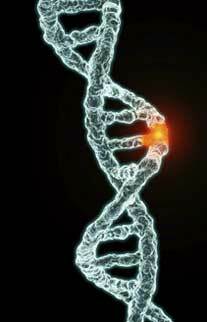 Are safeguards adequate to protect people who have genetic tests? <= Previous Posts Shyness or Social Phobia? Next Posts => Anxiety and Depression: Two Sides of the Same Coin?